The American Civil War lasted from 1861 to 1865, called the War Between the States. The United States was divided in half - the northern states called the Union and the southern states called the Confederacy. Eleven southern states declared their secession from the U.S. and formed the Confederate States of America. Hostilities began on April 12, 1861, when the Confederate Army attacked a U.S. military installation at Fort Sumter in South Carolina. The Confederate commander Robert E. Lee surrendered to Union commander Ulysses S. Grant at the Appomattox Court House on April 9, 1865. The Civil War was the deadliest conflict in American History that caused 620,000 soldier deaths and ended the slavery in the United States. 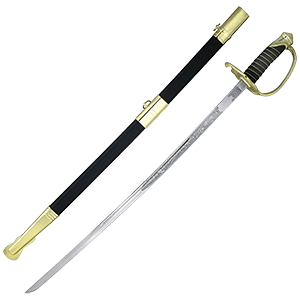 We offer replica swords, sabers, pistols, rifles, decor, and clothing from the Civil War era. These Civil War collectibles include authentic replicas that are great for Civil War re-enactments, stage props, and collectors. Medieval Collectibles is sure to meet all your Civil War needs. We provide an excellent range of Civil War belt buckles that are great for re-enactment use and collecting. These collectible buckles are authentic Civil War replicas of the originals used during the infamous conflict between the states. A Civil War Union belt buckle or Confederate belt buckle is a great period accessory for your Civil War uniform. 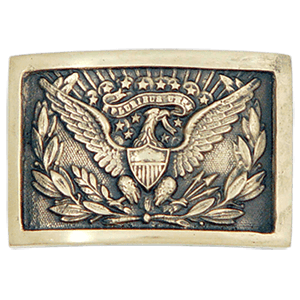 We carry a full line of Civil War belt buckles crafted from high-quality materials in designs suited to the North and South sides. Our Civil War buckles will fit most sized belts and can be put on display whenever they are not being worn. Looking for a Civil War hat or gloves to complete your Civil War outfit? We carry both Union and Confederate apparel for re-enactors, collectors, the stage, and educational purposes. 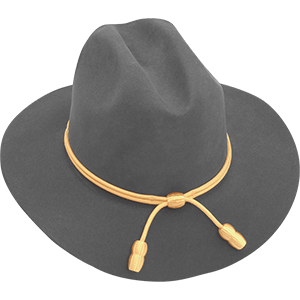 One of the most iconic hats of the period, the Kepi was officially called a forage cap and then was nicknamed bummers cap by troops. They named it that because if was often described as shapeless as a feedbag. It became the most common form of cap worn by U.S. regulars and volunteers during the American Civil War. The military cap was also worn by Union troops in dark blue, various shades of grey, and butternut for Confederate troops. Our Civil War gauntlets are made of top-grain cowhide leather and are available in various sizes. The Civil War gloves will protect your hands during re-enactment fighting. We also carry other pieces like Civil War belts and decorative cords. Be sure to check back regularly to see our latest additions to our Civil War clothing! The perfect way to add a touch of history to your home or office, our Civil War Decor category provides a number of pieces inspired by one of the bloodiest conflicts in all of American history. These Civil War decorations include excellent artillery replicas like miniature cannons and limbers, as well as incredibly detailed model ships and limited edition figurines. These Civil War replicas come in Confederate decor and Union decor designs, allowing you to represent both sides of the war. Display these pieces on a shelf, mantelpiece, or desk to show off your love for American history. We have a wide selection of quality Civil War gun holsters, including Confederate holsters and Union holsters. Our Civil War leather holsters are great for re-enactments, stage performances, and collecting. The Civil War pistol holsters come in a variety of styles and designs to suit any taste. We have left draw holsters, and right draw holsters, and hip holsters, giving you plenty of options. 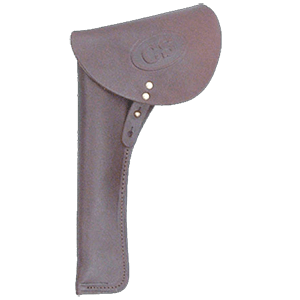 Our Civil War replica holsters are available in color options, as well. Many Confederate soldier holsters and Union soldier holsters have the letters CS or US imprinted on them. These military holsters are great for finishing your Civil War re-enactment apparel or costume. 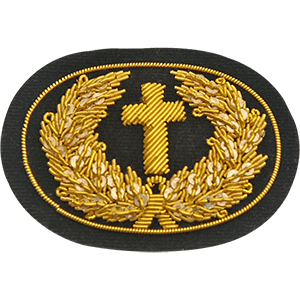 We offer an excellent range of Civil War hat patches and uniform badges that are truly authentic to the historical period. Many of our Civil War badges and collectible patches have gold bullion embroidery that truly sets them apart. These Civil War patches and decorative badges are the perfect finishing touch for your Civil War uniform or costume, no matter whether you are looking for Union or Confederate styles. These soldier hat patches are authentic replicas of the ones used during the American Civil War and are used by several re-enactment groups around the United States. Give your re-enactment apparel an authentic look with these Union and Confederate patches and badges. 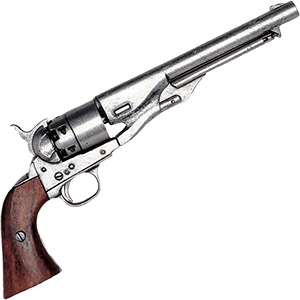 We provide a wide range of Civil War pistols just like the ones that were used during the war. These Civil War replica pistols are very authentic looking in detail, and many of them have functional parts. The Civil War guns do not fire live ammunition, making them safe for children under supervision and stage prop use. Most of our Civil War collectible pistols come in different finishes for many stunning looks. They will work with authentic replica bullets, giving you that look and feel of a real pistol. Inspired by the weapons used during the period of bloody conflict, our Confederate pistols, Union pistols, Revolver pistols, and other soldier pistols from the Civil War period are sure to be favorites of collectors and history buffs. We provide all your Civil War re-enactment accessories for your next performance or historical gathering. These Civil War collectibles include items like Civil War canteens, functional bugles, historical compasses and telescopes, soldier mugs, and powder horns. All these Civil War replicas feature truly authentic designs from the American Civil War, and many are fully functional items. 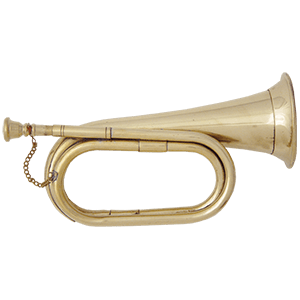 Our Civil War bugles are instrument-quality pieces, capable of sounding the charge with ear-splitting efficiency. A number of our Civil War powder horns are crafted in genuine cow horn with hardwood caps and stoppers. Be sure to browse to see all of our Civil War pouches, Civil War bayonets, and other new additions to the category. The perfect gun collectible for history buffs, our Civil War firearm replicas make excellent display pieces, stage props, and collectors items. These authentic Civil War rifle replicas and Civil War muskets are designed to look just like the ones that were used by the Confederate and Union armies at the battle of Gettysburg. Many of these Civil War model rifles have functional lock mechanisms, though they do not fire live ammunition. The most popular Civil War rifle was called the Enfield Rifle or Enfield musket. The British pattern 1853 rifle musket was the second most widely used infantry weapon of the Civil War. 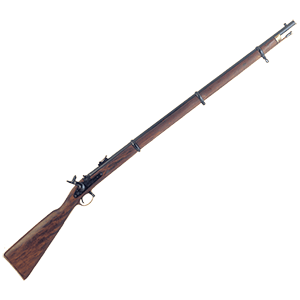 Both Federal and Confederate troops used the historical rifle throughout the war, and almost one million were shipped to the combatants from several British manufacturers. 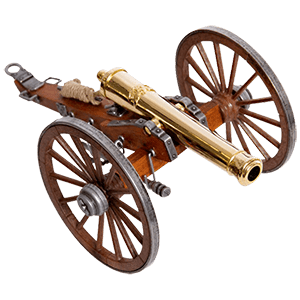 The Civil War gun was widely regarded as well-made and very accurate, making it an excellent replica gun to add to your collection.